Bromo Benzene, Phenyl bromide - Mody Chemi-Pharma Pvt. 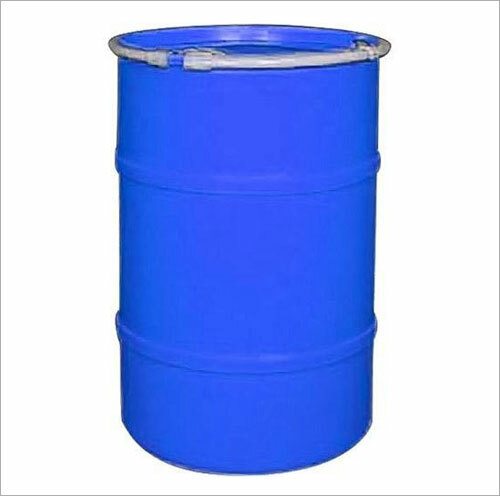 Ltd.
Bromo Benzene is also known as 108-86-1, BROMO-BENZENE, NCI-C55492, HSDB 47, bromo benzene, 4-bromobenzene, Benzene, bromo-, Monobromobenzene, Phenyl bromide and comes with Molecular Formula of C6H5Br and Molecular Weight of 157.0079. It is manufactured through bromination of benzene in presence of iron and has form of heavy, mobile, colorless liquid having a pungent odor. Further, it has Boiling Point of 156.2 DEG C @ 760 MM HG, Melting Point of -30.6°C (solidifies), Heat of Vaporization of 44.5 kJ/mol @ 25°C and Octanol/Water Partition Coefficient of log Kow = 2.99. Further, it has solubility alcohol (10.4 g/100 g @ 25°C), ether (71.3 g/100 g @ 25°C) and in carbon tetrachloride. Bromo Benzene % w/w 99.00 MIN.